Revel in the charismatic aura that wearing this Blue Royalty Georgette Designer Long Tunic with Machine Embroidery creates. This piece from Snehal Creations has been tailored with good quality georgette and carries a distinct flared silhouette. 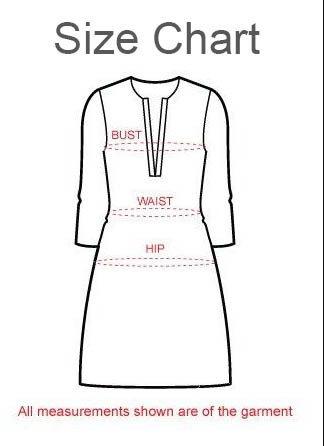 This tunic comes decked with designer machine embroidery that cover its shoulders and continue below the neck line. Multilayered magenta ribbon taping at the base and at the edges of the sleeves provide it with a designer effect that compliments the tunic design very well.